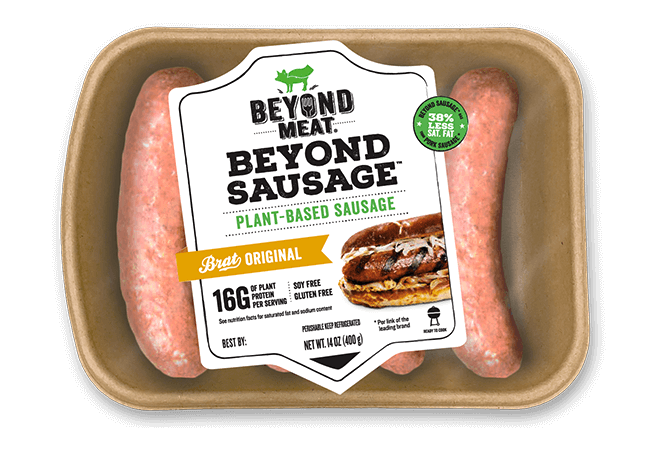 Remove casings from beyond brats. Bring a saucepan or skillet to medium heat. Break up sausages into small bits and cook for 6-8 minutes. In a large bowl, combine quinoa, green chilis, corn, beans, tomatoes, vegan pepper jack cheese, beyond sausage bits, cilantro, cumin, garlic, onion and chili powder, salt and pepper, to taste. Spoon the filling into each bell pepper cavity. 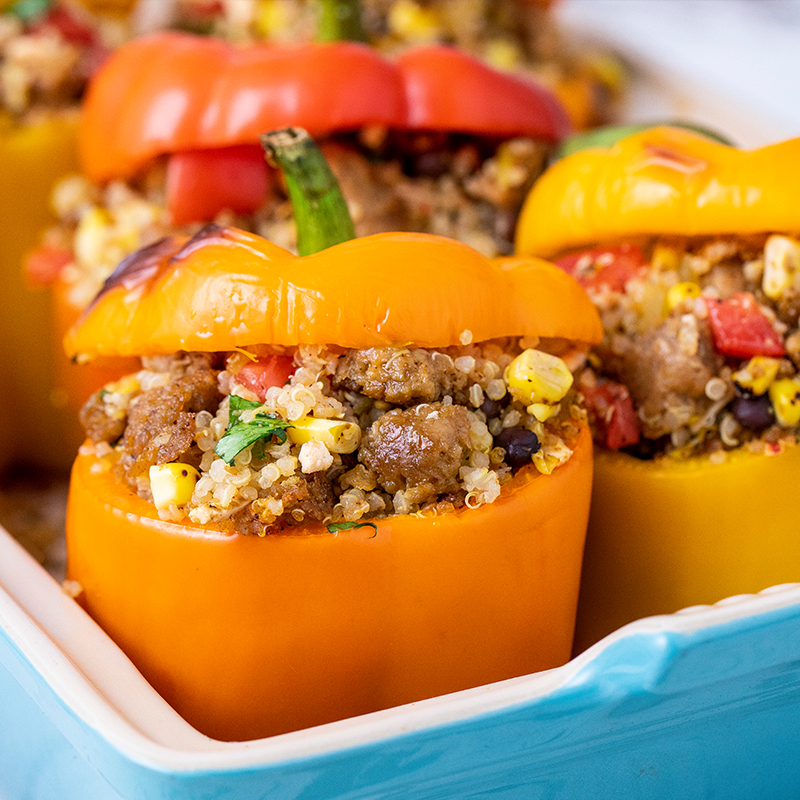 Place on a prepared baking dish, cavity side up, and bake until the peppers are tender and the filling is heated through about 25-30 minutes.